When something had become part of our life, we usually don't want to miss out on those things.Just like the office fans don't want to miss any episode of season 7, the Dash series fans don't want to miss any new release from PlayFirst. 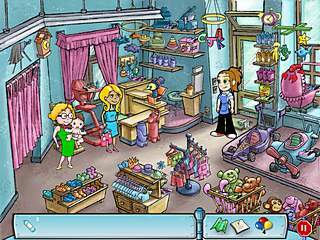 Especially the one like Avenue Flo: Special Delivery where you get to play with the characters from different games. Flo's friend Quinn is responsible now for a baby shower in their area. 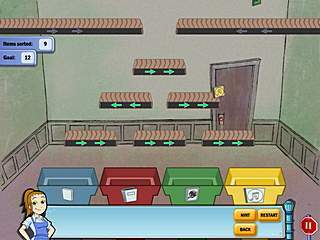 This game is a sequel of the nw title launched by PlayFirst. This time Flo is to save the day. Nothing new. Pretty exciting anyway though. Here are the details as to what to save the day from. Flo's friend Quinn is responsible now for a baby shower in their area. Things would go real well and easy if everything would have fallen apart because of the neighbours' party. So Flo and Quinn need to settle the details and still keep the surprise. 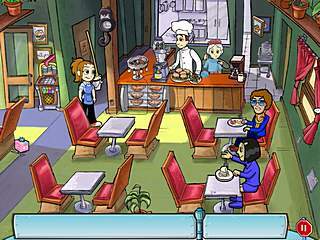 Those who played the previous games will recognize the Diner Town and its characters. This time you get to know them better. The game creates the feeling that they are absolutely independant and complete characters. Each character is voiced with a different voice and brightly and beautifully drawn in a cartoon style typical to the Dash series. The general gameplay is very clear and distinct. You get to play three different sections. Each section has its tasks for you in its locations. You are to play adventure portions all the way through the game. Then there are also puzzles to run into along the way. They are not crazy difficult and don not create a harsh challenge. Those puzzle can be replayed in Activity Mode, that you can find in the main menu. In that mode the puzzle can be played with more levels and a higher difficulty levels. There are a few features which complete the game with some nice touches. The Trophy feature keeps track of your chievements. Then there is Map and To-Do List to help you figure out what's going on. The characters you come across are also always willing to help you. The game is a real gift to the Dash games fans. This is Avenue Flo: Special Delivery review. Download this game here.